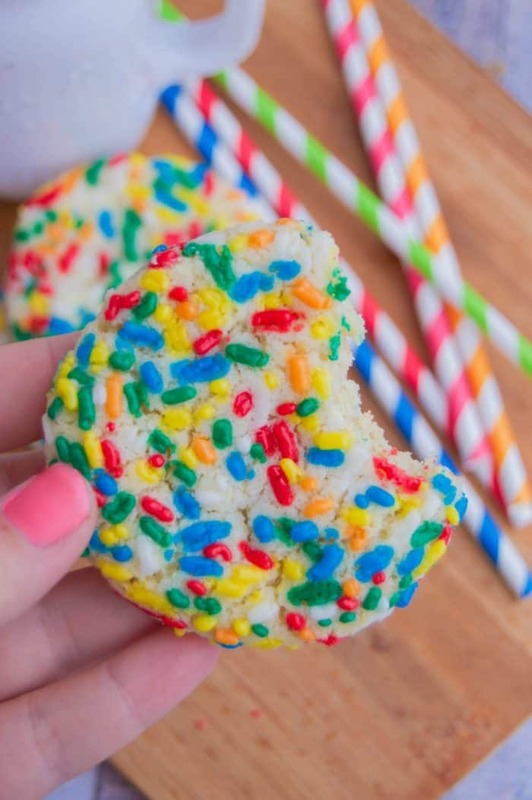 These Birthday Sprinkle Cookie are the perfect addition to any celebration! Not only to the cookies taste amazing but they are full of color and rolled in birthday sprinkles. 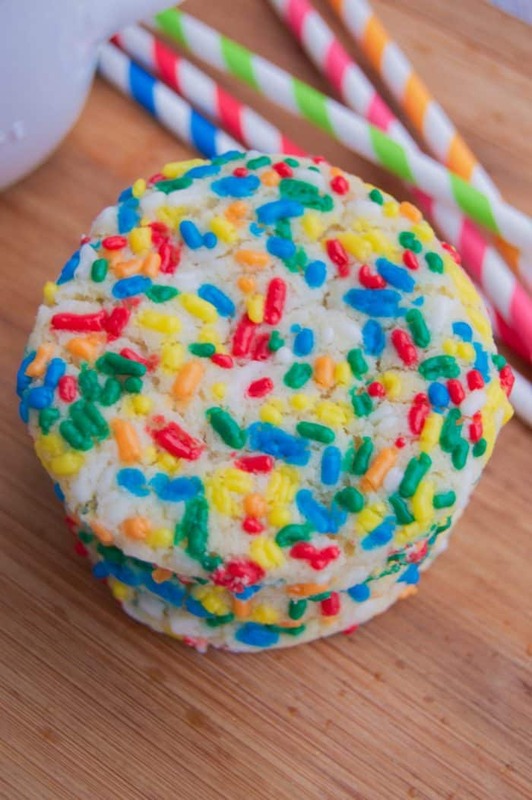 I love these colorful Birthday Sprinkle Cookie! A simple cookie recipe that has been rolled in fun sprinkles before baking. Simple to make and make big statement! The best part of this recipe is you can easily customizes the cookie. This past year we had a under the sea birthday party so blue sprinkles made the perfect match! This year my boys have asked for a ninja turtle birthday so I of course will be making these cookies with green sprinkles just like the turtles! Start by creaming together your butter and sugar. Mix in your egg and vanilla then add your shifted dry ingredients. Once your cookie is ready roll it up and before placing it on your greased cookie sheet roll it in sprinkles! Press your cookie doesn’t very gently and then bake. If you love cookies just as much as I do then you need to make sure to stop by and check out some of my favorites like The Perfect Chocolate Chip Cookie and my favorite Soft and Chewy Sugar Cookies. 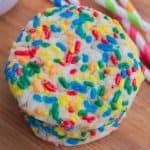 These Birthday Sprinkle Cookie are the perfect addition to any celebration with their colorful sprinkles and ease of preparation you can't go wrong. In a stand mixer or using a hand mixer cream together butter and sugar until light and fluffy. Slowly mix this in with your wet ingredients. Mixing until well combined. Place sprinkle covered cookie onto your prepared baking sheet. I hope you enjoy this recipe! Make sure to stop by The Diary of a Real Housewife for more easy recipes and family friendly dinner ideas.